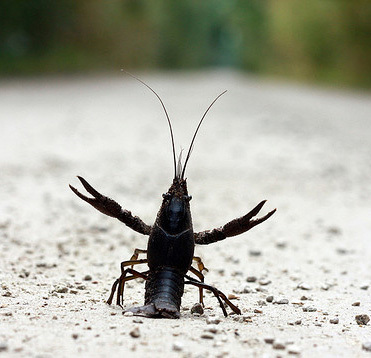 Crawfish (crayfish); photo by Alan Goodman on Flickr (noncommercial use permitted with attribution / share alike). The crayfish resembles a very small lobster. Coloring varies depending on the water it lives in. Missouri has more than 30 species of crayfish (including seven species that occur nowhere else in the world). 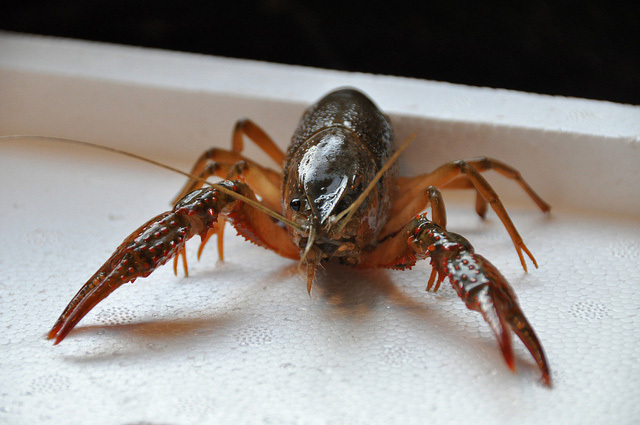 Crayfish are considered a "keystone species" because they play a key role in aquatic ecosystems. 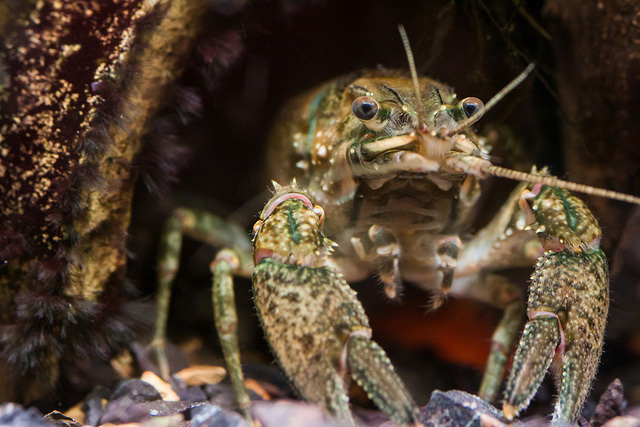 Crayfish in defensive stance; photo by Monica R. on Flickr (use permitted with attribution). Crayfish close-up; photo by Bee Collins on Flickr (noncommercial use permitted with attribution / share alike).